Businesses that make products are in the best position to ensure the safety of those products. Consumers rely on these companies to properly design the cars they use, the medications they take, and the electronics they favor. Georgia law holds that companies that make large profits from the products they sell should be held strictly liable if their products are defective and the defect causes death or physical harm. Strictly liable means the injured consumer or the family of a deceased consumer does need to prove negligence. The defect and the causation link between the defect and the harm are enough to hold companies liable. At Harris Lowry Manton LLP, our Savannah product liability lawyers use product safety experts, engineers, and other scientific professionals to help prove that products were improperly made. We then work with your medical team and independent doctors to show that the product defect caused your injuries or the death of a loved one. Our lawyers have obtained numerous million dollar verdicts for our clients. We demand compensation for the physical pain and suffering our clients endure, and for any loss of limb or amputation, scarring, or disfigurement. We demand economic loss when victims cannot work. Our attorneys file wrongful death claims on behalf of the families of deceased victims. The product was improperly designed. The product was not made according to the design specifications. The instructions on how to use the product were inaccurate. Automobile defects. The brakes, tires, steering mechanisms, fuel lines, and other parts of any car, truck, motorcycle, bus, or other motorized vehicle must work properly on demand. Drivers need to rely on the car to speed up, turn, stop, and maneuver through every type of traffic condition. Vehicles that are manufactured improperly can cause death or serious injuries. Medical devices. Patients expect that medical implants of any type will make them better, not worse. We handle medical defect cases involving heart stents, pacemakers, hip replacements, defibrillators, biomedical products, and other devices. Medications that cause harm. Doctors prescribe pharmaceuticals for a broad range of injuries and diseases. Defective drugs can cause heart failure, damage to organs, anxiety, and other physical and emotional problems including death. Pharmaceutical companies make a lot of money off their drugs. They have a duty to work with the FDA and conduct their own tests before they allow the public to use them. Products with talcum powder. Recent court cases, including class action lawsuits against Johnson & Johnson, confirm that talcum powder can cause women to have ovarian cancer. Airplane defects. Aviation defects can cause multiple deaths and catastrophic injuries. We bring claims against manufacturers when engines malfunction or parts fail, or when a defect in the design or production leads to a serious inciddent. Products for children. Children are especially likely to suffer injuries from product defects because they are not fully developed and they fail to understand how to react if a product is not working. Some of the products that must be designed properly for children are toys, escalators, car seats, ATVs, fabrics, and bicycles. Machinery malfunction. Workers at industrial sites, commercial sites, and at other locations rely on the equipment and tools they use to work as intended. When heavy machinery is made improperly or designed the wrong way, workers can die or need extensive medical care. Our Savannah product liability lawyers file class action lawsuits for multiple plaintiffs who are injured or die from any defects. We also file private complaints for individuals and wrongful death claims for families. Product liability cases require a unique understanding of the law and of how injuries happen. Even experienced personal injury lawyers refer cases to us. 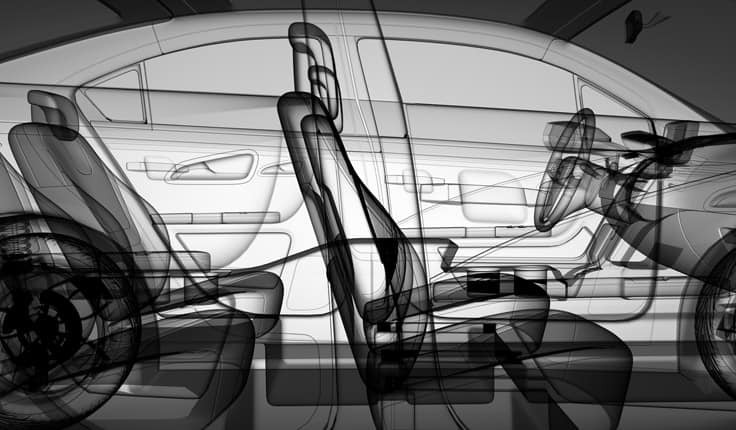 In just one example of our trial work, we helped a woman and her husband obtain a $40 million judgment against Ford Motor Company when her poorly designed Ford Explorer caused her to become a paraplegic. Please call HLM at 912.417.3774 or complete our contact form to schedule a free consultation with a trusted Savannah product liability lawyer.